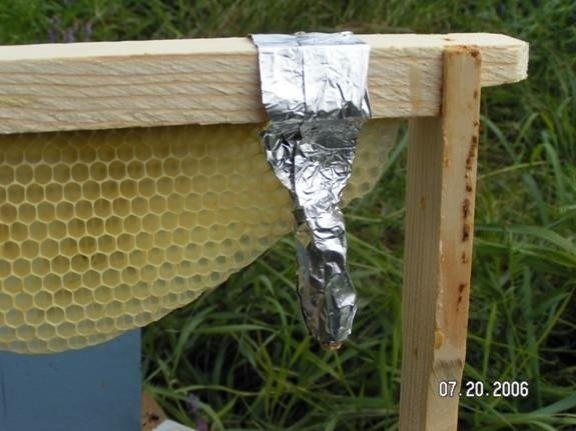 I am developing methods of beekeeping for myself to use in Alaska that anyone can use without to much equipment or investment using conventional equipment or labor. 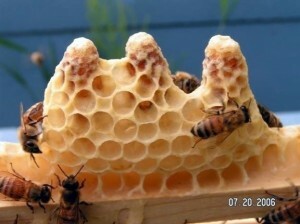 I wish for any type beekeeper up here to think they can do beekeeping even the neophyte. Really if I can do it then in reality anyone should be able to. 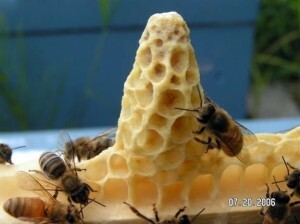 I use the KISS (Keep it Simple Student) method of queen rearing I presume and not the MITTOM (Make It To Much) method. Really the technique is the Alley way with Huber influence and Smith’s mindful refinements. 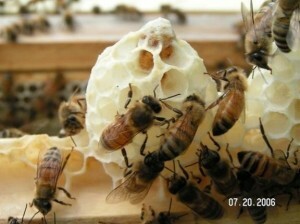 c]:~)3 I am using the basic principals laid out in Jay Smith’s book on queen rearing call “Better Queens”. I have my own way of doing what he did raising queens from worker cells laid in by the queen. I will explain below in detail and with pictures. For now you should read as I have Jay’s book several times. Presently this page is under construction and will be completed later, bookmark this page and check back. For now here are some pictures of the cells I raised the summer of 2006. 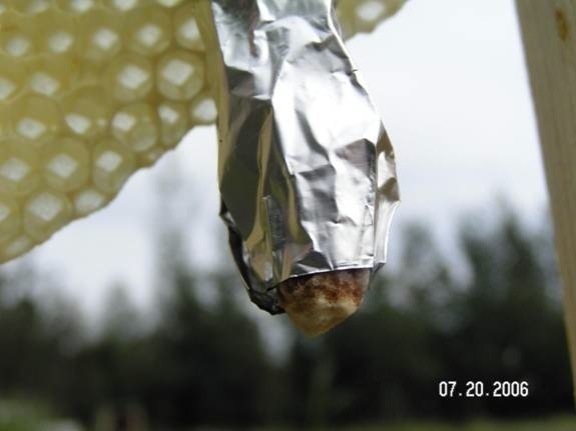 Here are some pictures of the cell protectors I made out of house hold material, metal foil. I found this idea for using metal foil as cell protector on Dave Cushman’s web site. What can I say, nice queen cell!